Identity Theft Prevention–Identifying the New Testament Church Today! About 32 A.D., or one year before the day of Pentecost, Jesus declared, “Upon this rock I will build my church” (Matthew 16:18). Did Christ in fact do what he said he would do? Yes he did. On the day of Pentecost the apostles received the baptism of the Holy Spirit (Acts 2:1-4). And all of them stood up and preached the good news in languages that everyone could understand (Acts 2:5-14). We have one of the apostles sermon recorded—the apostle Peter. Near the end of his sermon the audience cried out, “Men and brethren, what shall we do?” His answer was, “Repent and be baptized every one of you in the name of Jesus Christ for the remission of sins and you shall receive the gift of the Holy Spirit” (Acts 2:38). The Bible declares, “Then they that gladly received his word were baptized: and the same day there were added unto them about three thousand souls” (Acts 2:41). And in the last verse of that chapter, the Bible says, “And the Lord added to the church daily such as were being saved” (Acts 2:47). Jesus said “I will build my church” and one year later the church is spoken of as being in existence. Now the question is can we identify that church in our day and time? The church existed on the day of Pentecost and up to the end of the first century. Can we identify that same church today? It would be a reflection upon your intelligence to suggest that all of the churches today with their different doctrines and practices would in fact be the church we read about in the Bible. There are people today who will try to steal your identity in order to steal your assets and good name. We must be very careful in the use of credit cards, Social Security numbers and other forms of personal identity. Thankfully, the banking institutions are coming up with more and more ways of preventing identity theft. 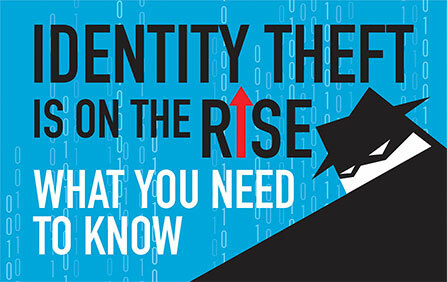 The four common forms of identity theft are credit cards, communications services, bank fraud, and fraudulent loans. In order to restore your personal identity you must inform the world and your banking institutions, your name, where you were born, your mother’s maiden name, your Social Security number and the last four digits of your credit cards. When you give them all of your identification marks then they know that you are who you claim to be. Someone may use some of your marks of identification, but unless they use all of them they can not be you. May I suggest to you that the same principle is true in identifying the New Testament church? Many churches have some of the marks of identity of the New Testament church, but not all of them and maybe not even the essential marks of identity. We must look for the salient features of the New Testament church in order to identify that church in our day and time. Let me give you an example from the Old Testament of a man who stole the identity of the worship of Israel. He hijacked or stole the identity of the true worship of Israel. His name is Jeroboam. We read about his devious actions in First Kings. Under the United Kingdom, Saul, David, and Solomon ruled for 120 years–40 years each. After the death of Solomon, his son Rehoboam was in line to be the next king. But he was a foolish young man having grown up in the permissiveness and luxury of the royal court. His counselors were just like him. When he was ready to be King, his father’s advisers encouraged him to lessen the tax burden on the people. They promised him that if he would do that they would be his loyal subjects for ever. But his younger advisers encouraged him to make the burdens even heavier. He listened to them and as a result ten of the 12 tribes rebelled against the house of David under the leadership of a young prince by the name of Jeroboam. He led these 10 tribes away and established a rival kingdom in the north. After this division took place, Jeroboam was very brilliant in the way he consolidated his power. He reflected that if the people continued to go back to Jerusalem to worship God their hearts would be inclined back to the leadership of Rehoboam. If this were to happen he would lose his power and influence over the people. He realized he had to innovate in some way to keep their loyalty to him in the north. In order to keep his power over the people, Jeroboam hijacked the true worship of Israel and changed it to fit his own selfish design. He did this in four ways. “It is too much for you to go up to Jerusalem. Here are your gods, O Israel, who brought you up out of Egypt (1 Kings 12: 28). This is what we call the religion of convenience. Some people will choose a church simply on the basis of convenience. They will not consider any of the marks of identification of the New Testament church, but only is it convenient for me to go there? If it is convenient I will go and if it is not I will not go. Jeroboam used that idea of convenience and it worked because he was able to keep the people loyal to his leadership by making gods for them to worship close to where they lived instead of going all the way to Jerusalem. The Bible declares. “One he set up in Bethel, and the other in Dan. And this thing became a sin; the people went even as far as Dan to worship the one there” (1 Kings 12:29-30). This was a sin, because God did not command them to worship at Dan and Bethel, but they were to worship at Jerusalem. “Jeroboam built shrines on high places and appointed priests from all sorts of people, even though they were not Levites (1 Kings 12:31). There we have it. Jeroboam changed another form of the true worship of God. And this was displeasing to God. “He instituted a festival on the fifteenth day of the eighth month, like the festival held in Judah, and offered sacrifices on the altar. This he did in Bethel, sacrificing to the calves he had made. And at Bethel he also installed priests at the high places he had made. On the fifteenth day of the eighth month, a month of his own choosing, he offered sacrifices on the altar he had built at Bethel. So he instituted the festival for the Israelites and went up to the altar to make offerings” (1 Kings 12:32-33). God had ordained that this particular festival was to be held on the seventh month and the 15th day, but Jeroboam delayed this festival one month later to the eighth month and 15th day. It was rank disobedience. Our politicians have changed the time of our American holidays to usually a Monday so we can have an extra day off from work. But there is one holiday I don’t think even the politicians will dare to change—and that is the fourth day of July that commemorates our independence as a nation. I despise calendars that start the week on Monday and I will not buy one. The week starts on Sunday and the calendar should reflect that fact. It is confusing to have a calendar with the week starting on Monday. Jeroboam was also a politician and he changed the worship time to one month later. And God did not approve of all these changes that he was making in the worship. It was wrong and it was a sin. At least 21 times the Bible declares that Jeroboam the son of Nebat sinned and caused Israel to sin. I will give you an example, “And he will give Israel up because of the sins Jeroboam has committed and has caused Israel to commit” (1 Kings 14:16). Jeroboam was the man who stole or hijacked the true worship of Israel and established his own “will worship” “of his own choosing” (Colossians 2:23). Now we have likeminded people today who have stolen the worship of the New Testament church and have set up a rival worship “of their own choosing.” If one were to visit the various churches it would be obvious that the worship today would be quite unlike the worship of church of the Bible. The true worship has been hijacked and changed to fit the convenience and culture prevailing in our society. How can we identify the church of our day to see if it meets the marks of identity of the New Testament church? We can do this by identifying the worship of the church in the Bible and compare that with the worship of present day churches. First, let us look at the Lord’s Supper. In the Bible this institution is denominated by such terms as breaking the bread, communion, and the Lord’s Supper. It is never called the Sacrament or the Eucharist. These are innovative terms used to describe an innovative worship. And the Bible encourages those who preach and teach to speak as the oracles of God (1 Peter 4:11). And that simply means we should call Bible institutions by Bible language if at all possible. “On the first day of the week we came together to break bread. Paul spoke to the people and, because he intended to leave the next day, kept on talking until midnight” (Acts 20: 7). Some have said that we can not establish that the church took the Lord’s Supper on the first day of every week. The church at Troas came together on the first day of the week or Sunday. The purpose for which they came together is stated in plain language. They came together “to break bread.” This is a figure of speech where the bread stands for the entire supper established by Christ as his memorial. We have churches today that have disregarded the Lord’s Day—the first day of the week and have substituted a day “of their own choosing” to take the Lord’s Supper. Many churches are doing this on Saturday night instead of the first day of the week. They are acting like Jeroboam. While they were eating, Jesus took bread, gave thanks and broke it, and gave it to his disciples, saying, “Take and eat; this is my body.” Then he took the cup, gave thanks and offered it to them, saying, “Drink from it, all of you. This is my blood of the covenant, which is poured out for many for the forgiveness of sins. I tell you, I will not drink of this fruit of the vine from now on until that day when I drink it anew with you in my Father’s kingdom” (Matthew 26:26-29). It is wonderful to travel and see some of the great memorials of our country—the Washington Monument, the Lincoln Memorial, and the Jefferson Memorial, just to name a few. But many will never see them because of cost and distance. But thanks to God that he has given us a memorial that anyone anywhere can observe. And a memorial is standing proof that the person remembered actually existed and accomplished what is claimed. Jesus simply gave us some unleavened bread and fruit of the vine and declared that when we would eat the bread and drink the cup that we should remember what he did for us. The apostle Paul passed on the same instruction that he received from the Lord to all the churches (1 Cor. 11:23-26). The church came together every first day of the week (1 Corinthians 16:1-2). Members were commanded not to forsake the assembling of themselves together (Hebrews 10:25). When they came together it was to eat the Lord’s Supper (1 Corinthians 11:20, 33). An example of this is the church at Troas coming together on the first day of the week to break bread (Acts 20: 7-11). One may identify the New Testament church in our day and time by whether the Lord’s Supper is observed every Sunday. If not, that church like Jeroboam has stolen the worship identity. After Jesus had established the Lord’s Supper, the Bible declares that when they had sung a hymn they went out to the Mount of Olives (Mark 14:26). And that brings us to the next identification mark of the New Testament church. What is to be the nature of the music of the church? Instrumental music in the history of the church down through the ages was never found until 670 A.D., when Pope Vitalian introduced it into the worship. There was so much opposition that it was taken out and then later brought back in during the fourteenth century. Therefore do not be unwise, but understand what the will of the Lord is. And do not be drunk with wine, in which is dissipation; but be filled with the Spirit, speaking to one another in psalms and hymns and spiritual songs, singing and making melody in your heart to the Lord, giving thanks always for all things to God the Father in the name of our Lord Jesus Christ, submitting to one another in the fear of God (Ephesians 5:17-21). First, we notice that we can understand what the will of the Lord is on the music of the church or any other subject taught in the Bible (Ephesians 5:17; John 7:17). Next, we are forbidden to be drunk and dissipated with wine. If a person is filled with wine the kind of music usually involved is the bar room songs. Third, we are commanded to be filled with the Spirit. This is the Holy Spirit and is affirmed in many places to indwell the child of God (Romans 8:9-11). The Holy Spirit operates in conversion and sanctification through the word of God (Colossians 3:16; Romans 8:14). The second participle is “singing.” In both Ephesians 5:19 and Colossians 3:16, singing refers to the lyrical emotion of a grateful and devout heart in praise to God and Christ. “Making melody” (psallo) is the third present active participle found in this context. The root meaning of this term is to pluck, twang, touch, and strike, but as time went on it took on exclusively the meaning of singing. J. H. Thayer defines psallo (making melody) thus, “In the N.T. to sing a hymn, to celebrate the praises of God in song, in honor of God,” and cites James 5:13; Ephesians 5:19; Colossians 3:16. In Ephesians 5:19, the making melody or making music involves the twanging of the literal vocal cords and the figurative strings of “the heart.” Therefore if one is determined to have an instrument—that instrument is specified and it is the soul and heart. There is no better instrument on which to make music than the human heart. All mechanical instruments are feeble attempts to imitate the sounds emanating from the human heart and voice. Therefore, the actions of “speaking, singing, and making melody,” result from the action of the main verb in the sentence and that is, “Be filled with the Spirit.” When we are filled with the Spirit the natural result will be a grateful heart that will praise God by, “speaking to one another in psalms and hymns and spiritual songs, singing and making melody in your heart to the Lord, giving thanks always for all things to God the Father in the name of our Lord Jesus Christ” (Ephesians 5:19). “Now about the collection for God’s people: Do what I told the Galatian churches to do. On the first day of every week, each one of you should set aside a sum of money in keeping with his income, saving it up, so that when I come no collections will have to be made” (1 Corinthians 16:1-2). The church of the Bible did not have car washes, pie suppers, raffles or any other means of raising funds to support the work of the church, except the Lord’s Day contribution. If the members will do what the Lord commands, then the funds will not run short and there will be no need to disobey the Lord by raising funds in unauthorized ways. Our contributing to the Lord is to be a free will offering based on biblical principles of giving. The church of the Bible did not send out a monthly statement stating whether members were behind or current in their contributions. Our giving is between us and God. He put us on the honor system in the New Testament arrangement. • It is to be periodic. It is “on the first day of every week,” as the Greek “kata mian sabbaton hekastos” indicates. “All the Israelite men and women who were willing brought to the LORD freewill offerings for all the work the LORD through Moses had commanded them to do” (Exodus 35:29). “Then Moses gave an order and they sent this word throughout the camp: “No man or woman is to make anything else as an offering for the sanctuary.” And so the people were restrained from bringing more, because what they already had was more than enough to do all the work” (Exodus 36:6-7). Finally, our giving is to be in proportion to our income. Sometimes we say, “I am just barely making ends meet,” but as someone once said, “Oh my how those ends do meet!” In America our income is very prosperous and we live like kings. We need to look at our bounty and bump up our giving so that we can grow spiritually and the Lord’s work can increase.